Sea of Memory by Erri De Luca was originally published in 1999 (in English) by the independent publisher Ecco Press. It was re-released this month by Other Press as Me, You. (Note: it seems to be the same translation – from the Italian by Beth Archer Brombert). 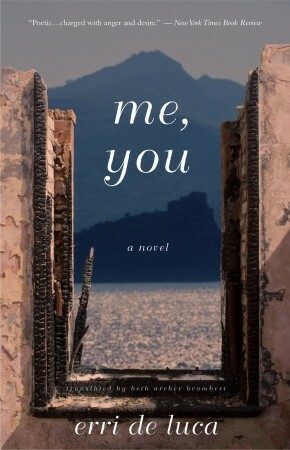 Me, You begins as a 1950’s coming of age/summer love story. It is narrated by a 16-year old boy staying with his uncle in Naples. WWII is still a fresh memory. The narrator, whose real name we’re never told, is on the cusp of adulthood and curious about the war. His curiosity draws him to Nicola, a former soldier turned fisherman, who patiently answers his questions. From the start it is apparent that this boy is uninterested in young people his own age. Instead he spends his time as part of the circle of young adults who congregate around his older cousin, Danielle. Through them he meets Caia – an orphan girl, beautiful, mature and mysterious. Unsurprisingly, he falls in love. Not a teen’s hormonal-fueled passion, but a chivalric and romantic love. As he learns more of Caia’s history, her Jewish heritage and the fate of her family, the recent past becomes intertwined with our narrator’s present. There’s nothing typical about De Luca’s unnamed narrator (I have this overwhelming urge just to call him Bob to make this easier). His actions and thoughts are out of sync with a typical 16-year old boy. He seems too serious, too old for his years. And as this small novel – a novella really – progresses his behavior becomes increasingly strange and erratic. His interactions with Caia become awkward (apparent to the reader, if not to the characters). This is because Me, You contains a plot twist. Someone from Caia’s past wanders into the narrative in an unexpected way. And as that person reveals himself the dialogue (in my opinion) becomes a tad overwrought. The couples’ exchanges take on an unnatural intensity. They’re too formal. And while the prose is beautiful – particularly in the descriptive passages – it is also densely lyrical bordering on claustrophobic. I thought about that evening on land with Daniele and Caia not wishing to turn around and look at the island. On the sea I did not feel distance. A third of a moon rose, losing its red rind on the pavement of still water. A powerful smell of bait filled the air now that we were stopped. With my fist I splashed the baskets with water. The wood of the oars fit snugly into the palm of the hand, legs placed one in front, one behind, to support the body’s push on the oars: and so there I was conforming to custom, to the métier, to the hour of the night; there was a place for me in that vastness of the sea, a place to put feet and hands and do what was needed. Caia was solid ground, eternal woman in a century that held me by the throat out of love and rage, but not out there, not on the sea. There, I was in the commingled nights of the earth’s numberless summers, I was a coeval of the planet, one of its wakeful species. Me, You progresses from a coming of age/summer love story into a ghost story. In many ways the author’s style suits this transition, but left me with mixed feelings. On one hand the book grows heavy as the narrative progresses until, in its final pages, it becomes almost unwieldy. Is that a bad thing? The last scene is a trap, our narrator left without an escape or options. Does the lyrical density I’ve already mentioned, the feeling of claustrophobia, highlight this? De Luca’s prose really is beautiful… but that dialogue!! I could go back and forth, pros vs. cons, all day long. As you can see, I’m caught on the fence about this one. It seems the North American teenager is a truly resilient creature. Even when taken out of their natural environment and dropped into an exotic locale they maintain their normal behavior patterns – angry moping. The quick summary of Deb Olin Unferth’s Revolution: The Year I Fell in Love and Went to Join the War goes like this – Girl meets Boy. Girl falls for Boy. Girl and Boy go looking for a Revolution. Girl and Boy hang out, bored. My boyfriend and I went to join the revolution. We couldn’t find the first revolution. The second revolution hired us on and then let us go. We went to the other revolutions in the area – there were several – but every one we came to let us hang around for a few weeks and then made us leave. We ran out of money and at last we came home. I was eighteen. That’s the whole story. Lucky for us, it’s not. Much more than another coming of age story, Revolution is a Dummy’s Guide to Central American politics in the 80’s. The world is upside down, and while Unferth travels to El Salvador with the best intentions of helping out the revolution (o.k., not exactly), in truth she’s really nothing more than a tourist. One among many. People come from all over the world to support revolutions (who knew?). It’s common enough that the Nicaraguan locals had a name for them. Internationalistas: Westerners who come and go in waves, following revolutions like the Grateful Dead, with no real personal stake in their outcomes. Around them uprisings become inappropriately festive. Imagine. We were walking across their war, juggling. We were bringing guitars, plays adapted from Gogol, elephants wearing tasseled hats. I saw it myself and even then I found it a bit odd. The Nicaraguans wanted land, literacy, a decent doctor. We wanted a nice sing-a-long and a ballet. We weren’t a revolution. We were an armed circus. 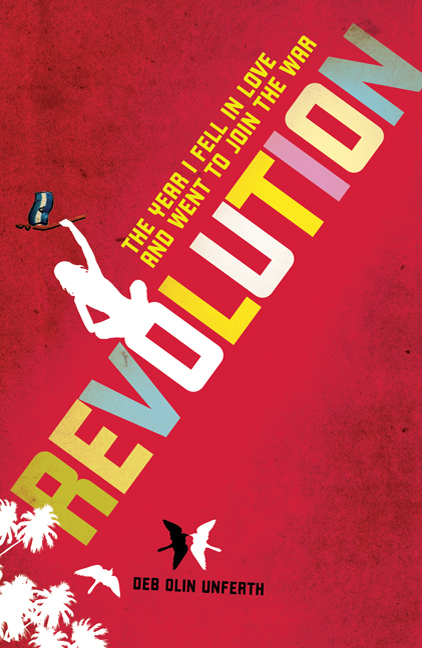 Revolution: The Year I Fell in Love & Went to Join the War is told with a large font in a slim book. 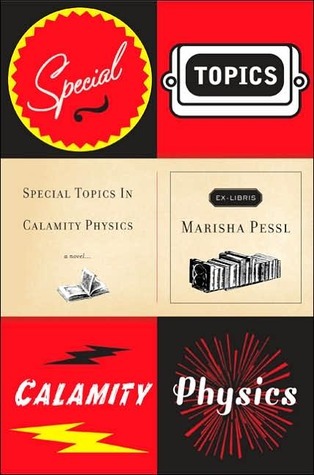 The chapters are anecdotal, clustered around a common theme and organized in loose chronological order. You are reading a series of impressions written down years after the actual events took place. Unferth readily admits that her memory for details is shaky and her insights recent. She second guesses herself frequently. But while dates and times may be estimates, there is no arguing with the raw emotional honesty or the self-deprecating humor. No one could be harder on Unferth then she is on herself, though I couldn’t help but feel that some things were being deliberately glossed over – particularly her history with her family. This isn’t a comfortable book. But being a teenager isn’t comfortable. Frequently I found myself squirming self-consciously for a clueless girl I completely identified with. I think most readers will. All of us have been young, delusional and in love at one time or another… usually with a much less interesting story when it’s all over. La Revolución remolque libro continúa! The book trailer REVOLUTION continues! The book is Revolution: The Year I Fell In Love & Went To Join the War by Deb Olin Unferth. It’s not every day a girl finds God, a husband and her inner Sandinista. Probably for the best. And yet, it could make for good reading. What do you think? Is your interest piqued?